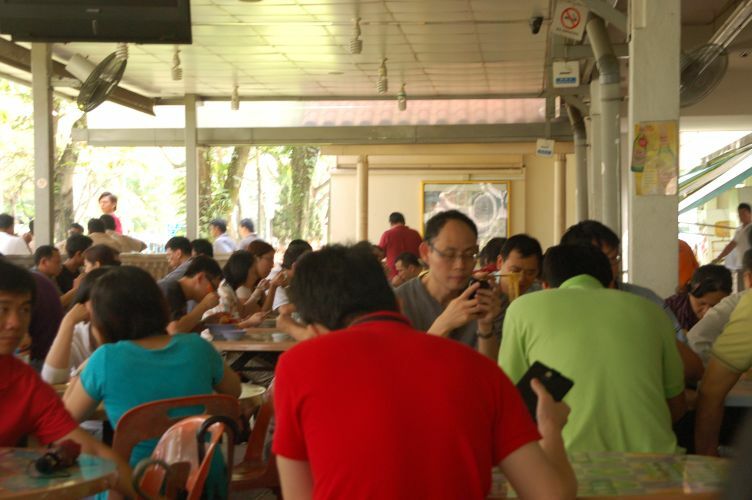 Coffee Shops - Not places such as Starbucks or Costa Coffee, but an un-air-conditioned area, often at the base of a housing block that has traders selling drinks and simple food. 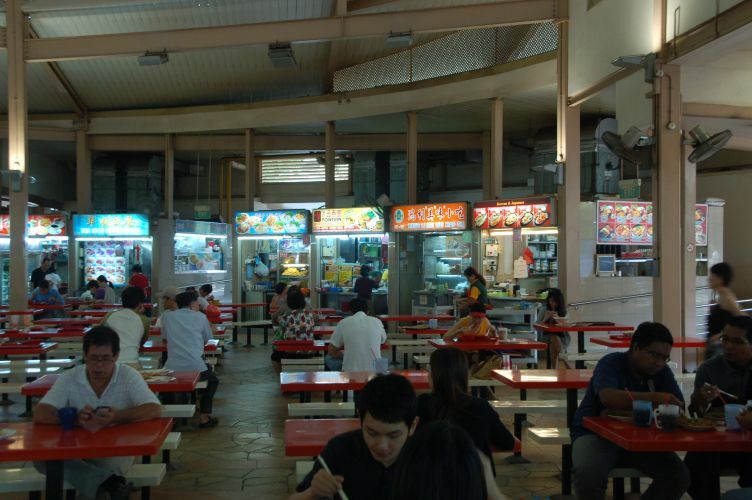 Hawker Centre - The centralised location of the traditional street hawkers where there are many stalls selling food. 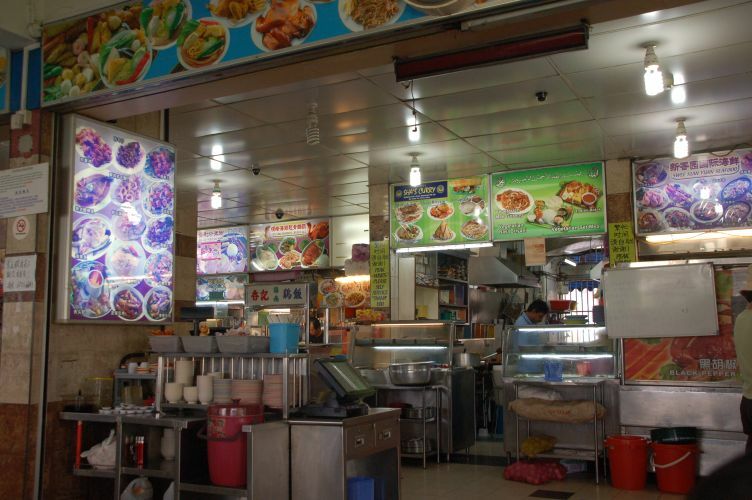 Often stalls will sell drinks only and other stalls sell cooked food only, so for a full meal it may mean dealing with a selection of stalls. These may be open air with basic rain cover or under a building with open sides. There are western style coffee shops, burger bars and restaurants, but since I believe in "When in Rome, do as the Romans do", they are of no interest to me. 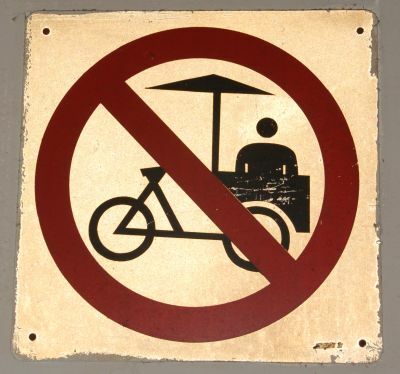 I was taken to a Coffee Shop close to where I was working, where I noticed the left hand sign above, on the wall which reminded me of the days gone by when I first came, and the tourist guides advised against hawker food and most worked from a cycle based cart. But I made use of them and had no problems. The sign had not been noticed by my SG work Colleagues. The left hand sign I noticed when I went back to the Newton Food Centre for some daylight photos. Singapore does encourage/enforces good hygiene practices so that you can eat safely anywhere in Singapore, not just the Tourist centres. During my first visit for work I was accommodated at the Sheraton Towers Hotel for 4 weeks. 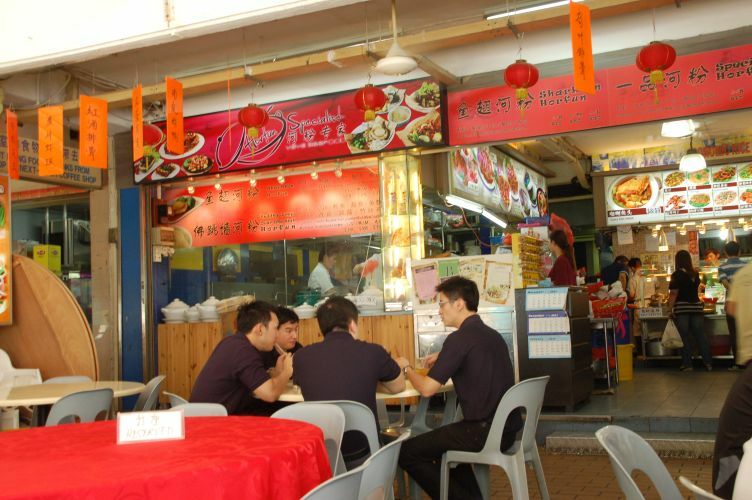 The nearest Food Centre was the Newton Food Centre, at Newton Circus a short walk from the Newton MRT stop. This is what I class as a Hawker Centre. 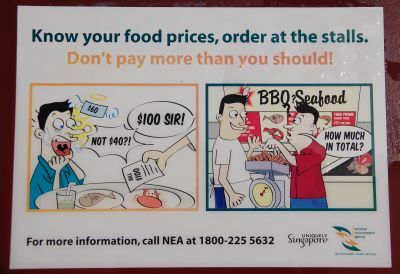 By comparison as it is on the mainstream tourist trial it is slightly more expensive then others, especially those in nether regions of Singapore, eg a Tiger beer at Newton was $6.50 or $7.00, but one in the Sengkang area was $5.40. The food sold at Newton is dominated by seafood. 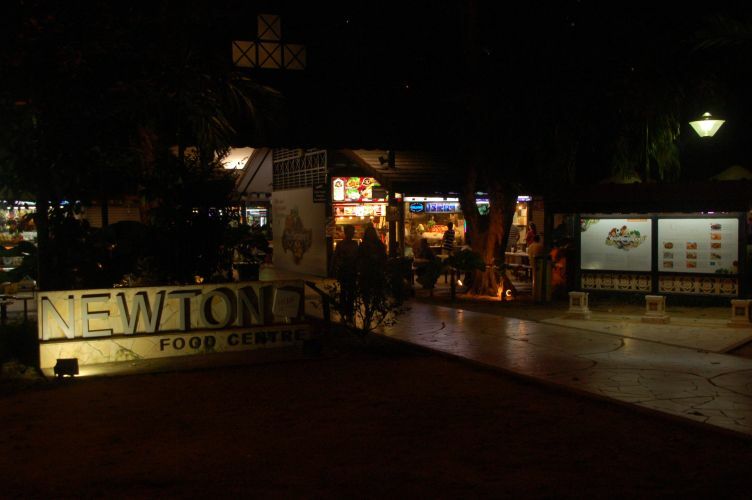 The Newton Food Centre became my second home for evening meals, I only eat in hotel three times and regretted that, it was the atmosphere it made a Night out in Shepshed seem exciting:-) and the few other times I did not eat there was due to being entertained via work. 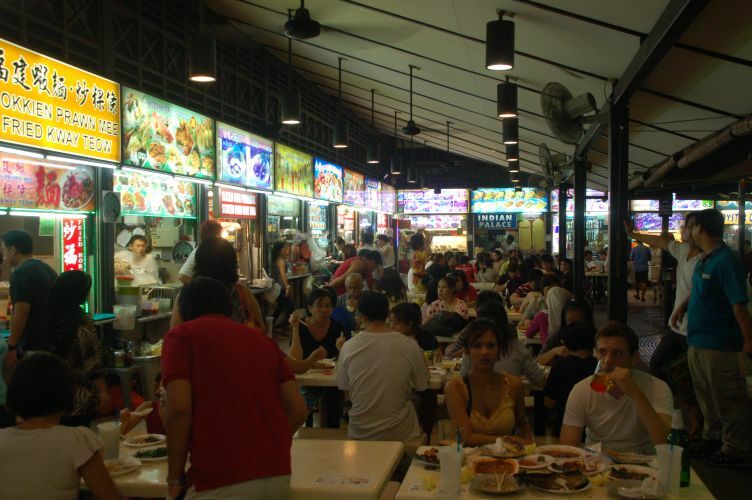 A busy night at the Newton Food Centre. When it is busy you are expected to share your table with others. Note front table middle, on most tables there are signs advising about checking cost before its too late! Sign on table warning people to check prices. The same message can be seen in poster form as well. The bit where this is import is certain foods are sold by the 100g, so a good trader will weigh the crab, lobster, etc and let you know the price as it is based on the gross weight of the fish. Even on a busy night providing it is not raining cats and dogs, its possible to find an intimate table for two. Whilst working in Singapore I was based at a site on the comer of Yishun Avenue 6. 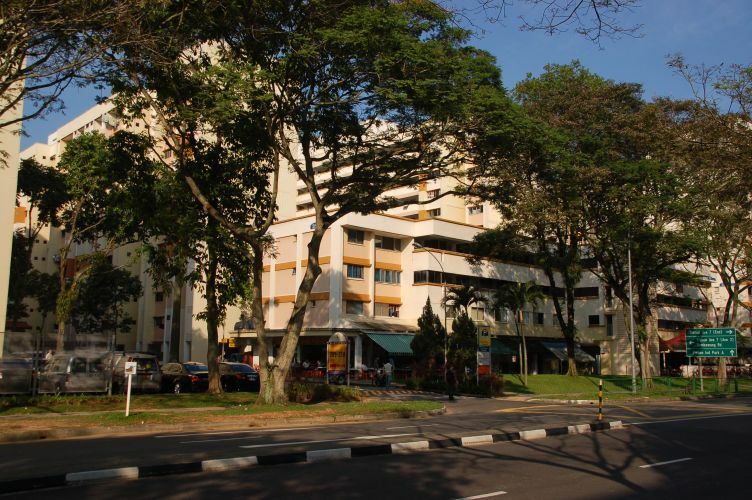 Opposite, there are housing blocks, and at the base of block 285, is a coffee shop, it is dark area on the corner and extends along Yishun Ave 6. 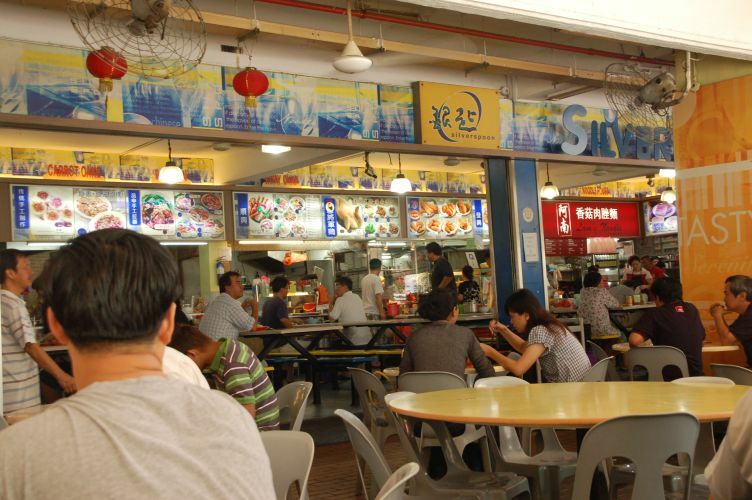 A few of the stalls at Yishun Ave 6 Block 285 Coffee Shop. How many transport Cafes in the UK or Relais in France, can you remember this clean! Whilst this is a coffee shop, due to the range of stalls. 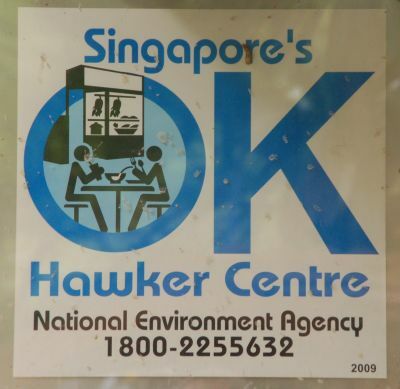 I originally thought it was a Hawker Centre. A bit further from where I was working, but only a 5 minute walk, are the Coffee Shops at Yishun Street Blk 22. I originally thought this was a Hawker Centre, but there are two Coffee Shops side by side, with a sign halfway along stating you are not allowed to take food from one coffee shop into the other. This side is the "Silverspoon" Coffee Shop. The Silverspoon Coffee shop, at Yishun Street 22 Blk 292. On the left can be the sign which is partly obscured telling people not to take food into the Coffee Shop next door. On the other side of the block there are loads more coffee shops and market stalls. 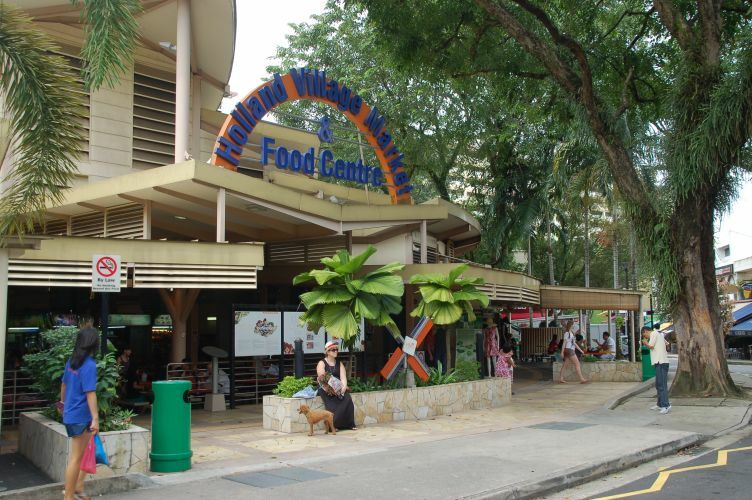 Despite the Port Out Starboard Home feel of Holland Village, the food centre is down to earth. 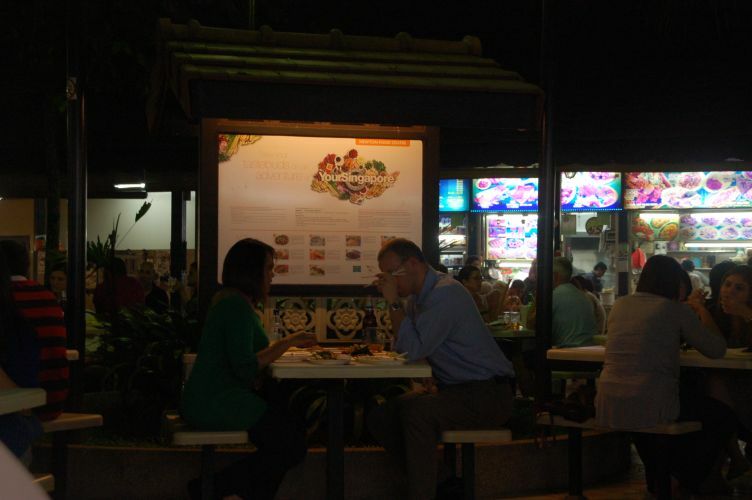 But there are numerous restaurants outside which probably cater for the expats. 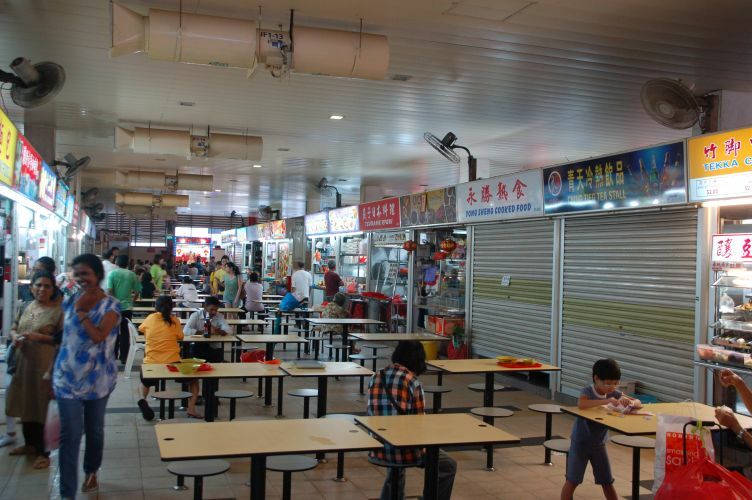 Despite being called a Food Court, this is very much a un air-conditioned hawker centre. Tekka court is in Little India, and on the floors above are numerous stalls, mainly selling clothing, dominated by the Indian community. However the food stalls are predominately Chinese. Depending on when you go, you will find some stalls only open part the day, and many have a day off, hence a number of closed shutters.